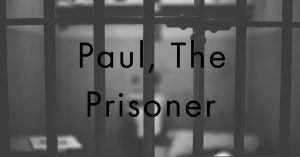 Check out Paul, The Prisoner! 1) What is the context of this passage? 2) What is Paul’s definition of weakness in this passage? 3) What is Paul’s mindset in this passage? In this passage Paul has been boasting, but not in the way that one would think. 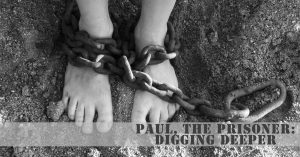 Rather, Paul boasts of all the ways God has moved and worked in his life and the world around him. Paul is pointing out that in his humanity he is weak. He even asked God to remove a specific affliction. The response he received from God was that the mighty strength of the Lord is made (or displayed) perfectly in the weaknesses of humanity, even in physical affliction. God assures Paul His grace is sufficient and He is more than able to use suffering for the gospel’s sake. Humility, and a trusting reliance on God, are gained when we face affliction and hardship with the firm understanding that we are neither alone nor is our suffering wasted. 2) What is the weakness that Paul is talking about in this passage? The weakness Paul describes is two-fold. The first description is found in verse 7, just prior to this passage where Paul has eluded to a “thorn in the flesh”. There is a very real physical alignment that he is suffering from, but there is no description given about what that “thorn” is for him. The second part of weakness for Paul is life circumstances and he lists them out in verse 10 as well as previously in chapter 11 and in other places in his writings. 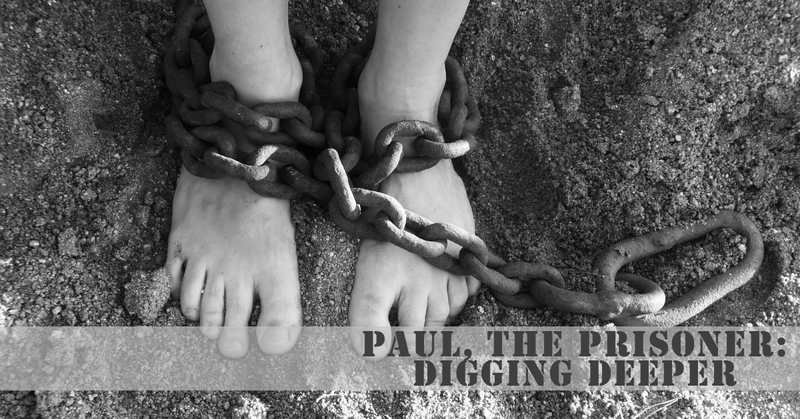 Paul here describes his mindset as contentment and the source of that peace. He is content in knowing that God is using his hardship, persecution, and weakness. God’s love, authority, and ability to use all things for His glory gives Paul hope because there is reason and purpose even in suffering. He will “boast” about his weakness so that in his human weakness he will find eternal strength, which is put on display for all to see. God is always moving and working, but sometimes in the prisons of our life, it is hard to see that God is doing anything. It is difficult to see past the circumstance and feelings of weakness to comprehend how God could possibly use it, or us, for good. Rest assured, we can have hope that His grace is indeed sufficient and He has not left us alone. We are given promises all throughout Scripture and we can solidly know God “will never leave or forsake us. So we can confidently say, “The Lord is my helper; I will not fear; what can man do to me?” (Hebrews 13:5b-6) We can take joy in knowing that God uses us despite our weaknesses; even in our calamities, the Lord assures He will work for His purposes. On any given day, it is easy to recount the weakness of humanity. We simply watch the news to see the suffering in the world. Suffering and sadness are not new to this age, they are a product of the fall that began in Genesis when sin entered the world. Since that time, God has been working to redeem and restore the brokenness of this world through His Son and through the work of His Spirit. His desire and promise is that one day He will wipe away the insults, persecutions, and hardships, but in the meantime, He wants to work within His children to show a lost world that He has love, grace and mercy to offer in suffering. 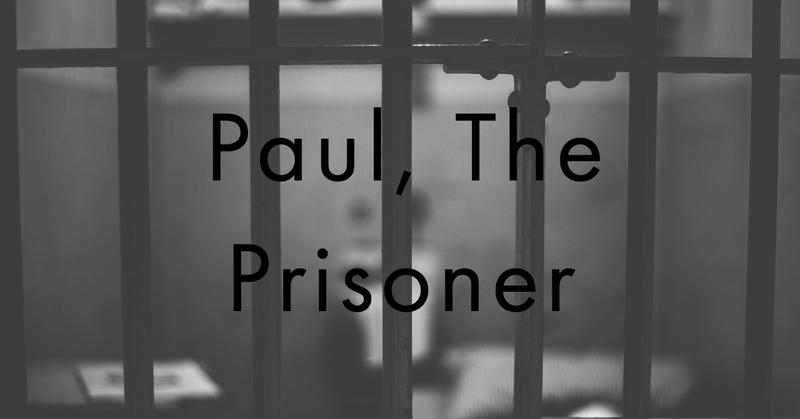 Catch up with Paul, The Prisoner! Staccato pounding on my door broke my concentration. Sighing, I laid down my pen and rose to cross the small room. Opening the door, I greeted the soldier before me, then stood back to allow him entry. “No, no,” I hastened to reassure him as I lit a lamp. “I was caught up in my letters and didn’t notice the setting sun,” I explained, gesturing toward the sheaf of parchments on my small table. A short time later, Marcellus’ even snoring filled the room. I shifted on my pallet, taking care not to jostle the chains that connected us. I’d learned the hard way that Marcellus’ sunny disposition grew even sunnier if he was awakened from sleep. Absentmindedly, I rubbed the finger he’d broken the first time I’d made that mistake. Quietness settled over my body, and my mind drifted back to Marcellus’ derisive critique of my words. This wasn’t the first time the phrase “prisoner of the Lord” begat confusion; I’d used the term in my letters to both the believers in Ephesus (Ephesians 4:1) and brother Philemon (Philemon 8-9), receiving bewildered replies each time. 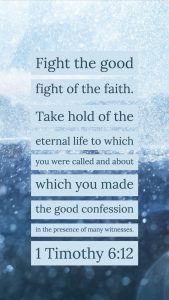 Recipients of my letters had expressed incredulity that, given my suffering for the gospel, I would willingly bear the title “prisoner” of anyone. For indeed, I had suffered. Five times, I had endured the maximum religious punishment of 39 lashes. Three times, I had been beaten with rods. Three times, I’d been shipwrecked, spending a long, chilling 24 hours in open water. and found myself cold and naked. And that story summed up my joy at finding myself the Lord’s prisoner. When Barnabas and I first visited the city of Lystra, God used us to bring wholeness to a crippled man. Despite our protestations, the townspeople revered us as gods . . . for a few days. Immature and quixotic, the people were turned against us by Jews from Antioch and Iconium. Less than a week after attempting to worship at my feet, the people of Lystra stoned me. God’s plans were much, much bigger, and so He breathed life back into my body. Months later, I stood once again at the gates to Lystra, gathering my courage to enter the city. As I made my way through the bustling main streets, face after face turned from business-as-usual to shock and amazement. And the gospel spread through Lystra with a potency I couldn’t have imagined. Far from quelling the word of God, my suffering instead spurred it on. I came to understand I was never imprisoned by the whim of human rulers. Rather, I was strategically positioned by God for the furtherance of the good news. In my greatest moments of human weakness, His supernatural strength was made perfect and His power was displayed for all to see. And now here I lay, chained to a Roman guard, as I have been every night for some years. To all appearances, I am on a fool’s mission, the result of a seeming misstep in my testimony before Agrippa. God made a way for His word to reach even Caesar, should my house arrest end with an audience before the Roman ruler. Until then, a new opportunity to share Jesus presents itself at my door every evening at sundown. I sense that my time grows short. Like Moses, my prayer in these final days is for God to prosper the work I have begun here and abroad, creating His own legacy from my lifetime of ministry. Until the day He calls me home, I remain faithfully and joyfully in service to my Rescuer and Redeemer, yes, as His prisoner. Thanks for joining us today as we journeyed into Sketched V Week Three! Don’t miss out on the discussion below – we’d love to hear your thoughts!